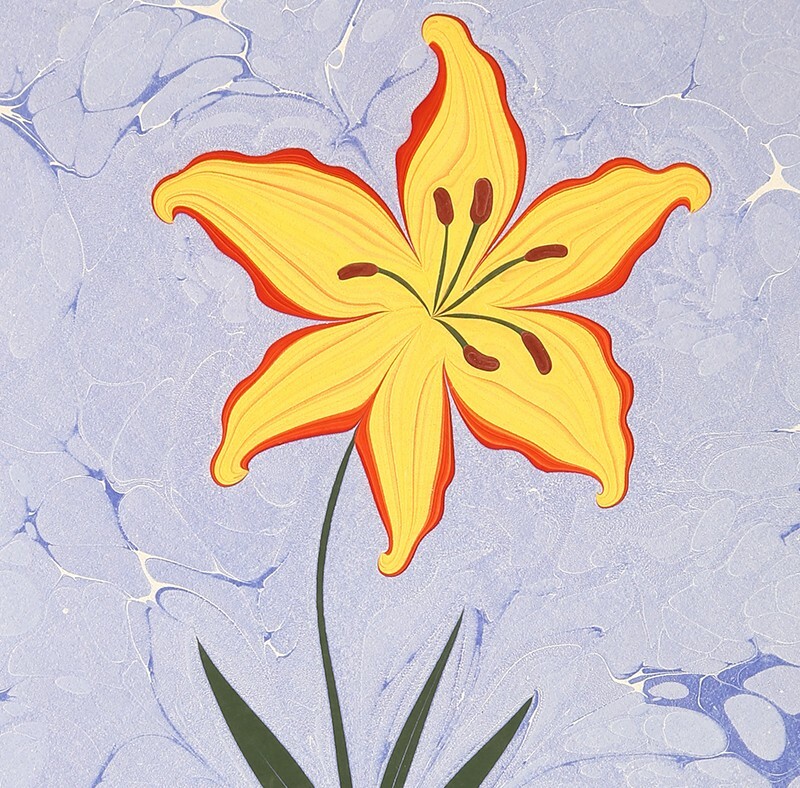 Lilium marbling art on paper is made and signed by artist Firdevs Çalkanoğlu. She graduated from Dumlupınar University, School of Business Administration. The artist who received training in the field of marbling art from Ayla Makas and Fuat Başar received the approval of Başar in 2009. She is currently receiving calligraphy training from Fuat Başar. 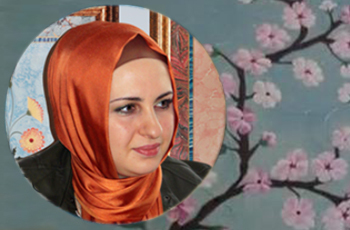 Çalkanoğlu who has been dealing with marbling art since the year 2003 gives lectures in her personal workshop. 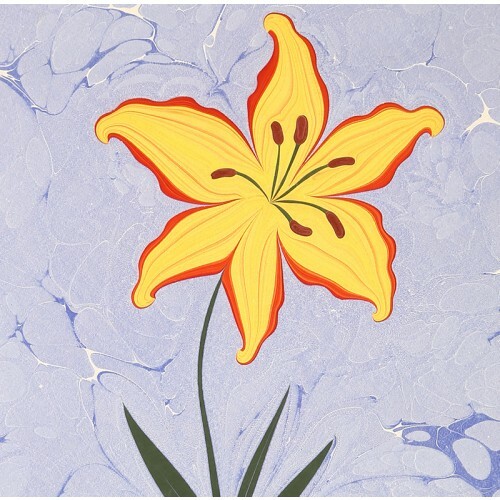 “Marbling is a field of art which is both attached to traditions and also modern. It is impossible to re-make a masterpiece. Hence, one finds the opportunity to renew himself. I prefer working based on classical approach and take up classical flowers in a more detailed way."